Monday’s Senate hearing on Russian interference in the 2016 election revealed only one thing: Democrats are still determined to use the investigation as a partisan club against President Trump. Ranking Member Sen. Sheldon Whitehouse (D-RI) and others kept intimating dark doings, but uncovered no sign of them. 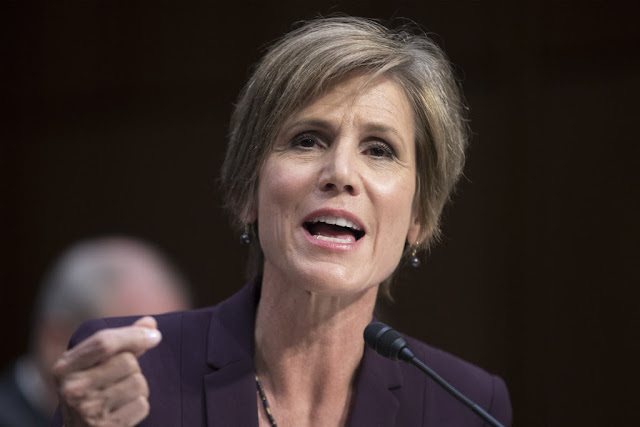 Both former Director of National Intelligence James Clapper and former acting Attorney General Sally Yates declined to answer many of the most critical questions. Clapper did say that the Russians have been trying to interfere with US elections since the ’60s and now “must be congratulating themselves for having exceeded their wildest expectations.” But he offered zero evidence that Russian meddling had actually shifted any votes. And he admitted that Moscow launched cyber attacks “against both political parties.” Yes, he claimed that no “Republican-related data” was released, but in fact the leaks of Democratic e-mails included the party’s “opposition research” file on Trump. Neither Yates nor Clapper would comment on actual Team Trump collusion with Russia, saying they couldn’t discuss classified info. Then Sen. Lindsey Graham (R-SC) noted that Clapper said months ago in a TV interview that there was no evidence of collusion. And the pre-election contacts between Gen. Michael Flynn and the Russian ambassador, which cost Flynn his White House job, had nothing to do with influencing the vote. Nothing in the public record shows that Moscow affected the election returns, nor is there any sign of collusion between the Trump campaign and Russia. Yes, Russian attempts to interfere with our elections are a worrisome threat. But those efforts’ overall goal is to undermine faith in democracy itself. Sadly, Democrats’ posturing is doing plenty to help out with that.